I previously wrote (link here) about the trademark infringement lawsuit filed by The Cupcakery, LLC (“The Cupcakery”) against former employee Andrea Ballus and her company Sift: A Cupcakery, LLC (“Sift” and together with Ballus, the “Defendants”) in Nevada District Court. See The Cupcakery, LLC v. Ballus et al, Case No. 09-cv-00807 (D. Nev.). 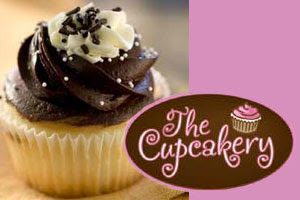 In addition to the trademark infringement allegations regarding use of the term “Cupcakery” (which The Cupcakery claims as its exclusive trademark but which Defendants claim has become generic for a cupcake bakery), The Cupcakery also set forth a claim for common law fraud based on Ballus’ failure to disclose certain information to The Cupcakery prior to, and during the course of her employment (such as her intent to move to California, her intent to open a competing cupcake; the fact that she had registered Sift as a limited liability company with the California Secretary of State). The Cupcakery tried to argue that such omissions constituted intentional misrepresentations because there existed a “special relationship” between The Cupcakery and Ballus arising from her signing of a confidentiality agreement that gave rise to a duty to disclose such information. However, as reported by Las Vegas Sun, the Court granted Defendants’ Motion to Dismiss The Cupcakery’s fraud claim (but with leave to amend) because Plaintiff failed to cite to any language in the confidentiality agreement that imposed a duty on Ballus to disclose the type of intentions that The Cupcakery now claims should have been disclosed (and the failure of which would rise to the level of common law fraud). A copy of the Order can be downloaded here. Plaintiff has failed to demonstrate that the relationship between Ballus and Plaintiff, her employer, was such that Ballus’s failure to disclose gives rise to a misrepresentation or fraud claim. While Plaintiff avers that Plaintiff signed a confidentiality agreement which may give rise to the creation of a special relationship, Plaintiff has failed to include the language of said agreement, or how this alleged agreement imposed upon Plaintiff a duty to disclose that she intended to move to California, that she had any intention to open a cupcake business, or that she had registered Sift as a limited liability company with the California Secretary of State. The Motion to Dismiss was only directed to the fraud claim, so the court’s decision only dismissed that single claim. The case will continue forward on the more interesting (at least more interesting to me) issues regarding The Cupcakery trademark rights to the term “cupcakery” in connection with a cupcake bakery. Meanwhile, much to my surprise given that parties usually suspend TTAB proceedings when a related district court action is pending, it appears that the opposition filed by The Cupcakery against Sift’s application to register the mark Sift: A Cupcakery is moving forward towards the trial period over the next few months. 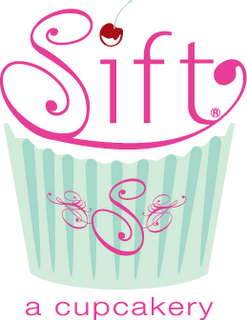 See The Cupcakery, LLC v. Sift: A Cupcakery LLC, Opposition No. 91188833 (T.T.A.B. Filed February 12, 2009). The parties may have a decision by the TTAB on the trademark questions before the district court even has the opportunity to address any trademark issues.